Mostar in the country of Bosnia and Herzegovina is a popular cross-border trip with tourists from Dubrovnik in Croatia. 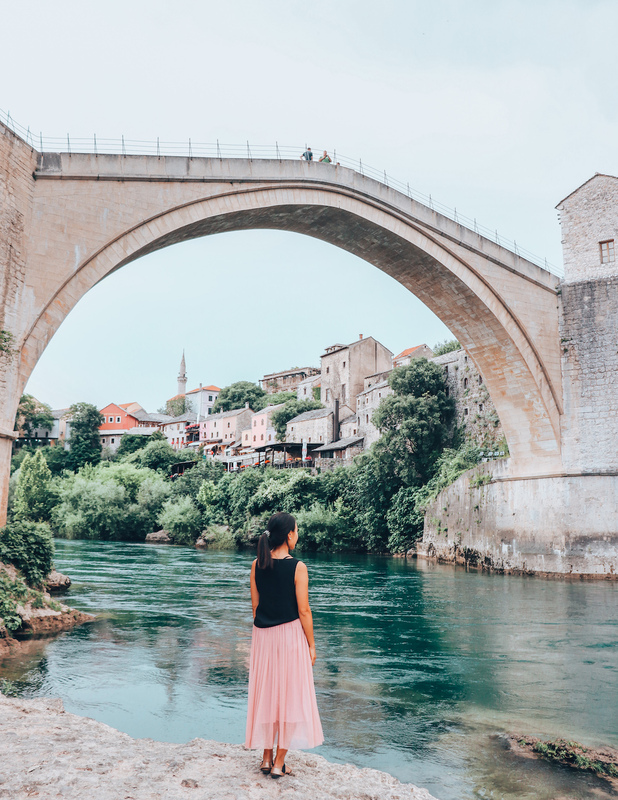 The main attraction of Mostar is Stari Most, literally translated as the Old Bridge, which is — you guessed it — located in the Old Town. This bridge was originally built in the 16th century, destroyed in 1993 in the civil war, then reconstructed and reopened in 2004. 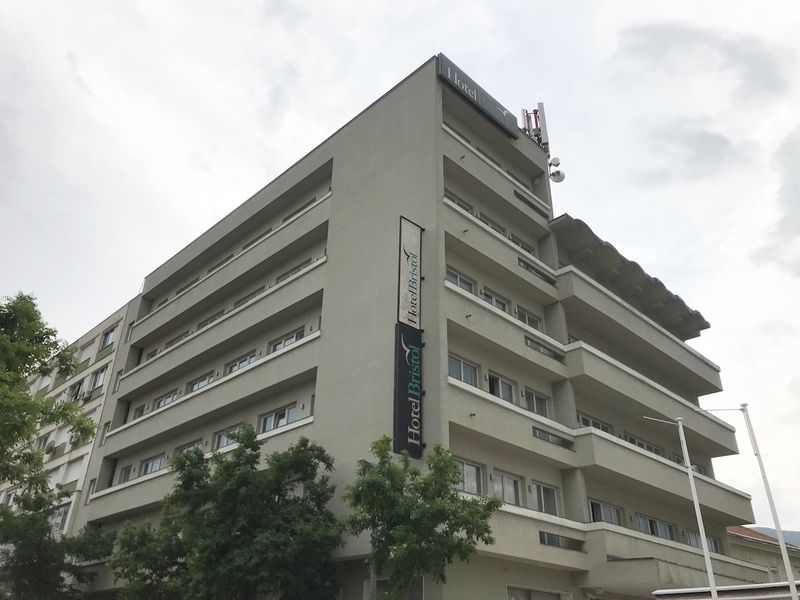 It is now a UNESCO world heritage site. This little country has so much history. 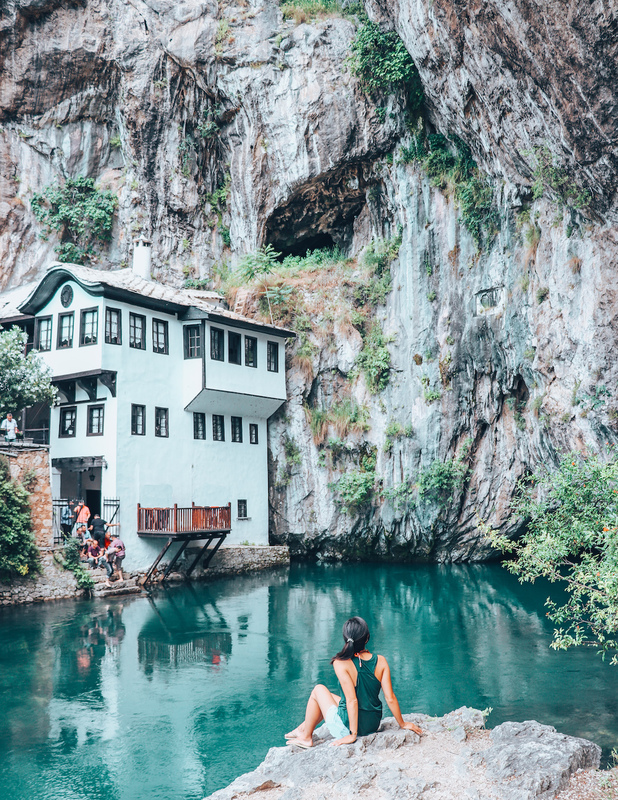 It would take way more than a weekend in the Balkans to understand its long and complicated history — there are certainly a lot of parties involved! But in short, the small country which is now known as Bosnia and Herzigovenia (formerly Yugoslavia) has been conquered and reconquered. They also have a communist past. In 1991, the country went through a terrible civil war which lasted for four years. Since then, the country’s economy is still recovering, the main driver of the economy now is tourism. Random fact: Red Bull hosts its annual Cliff Diving competition off the Stari Most bridge every year! 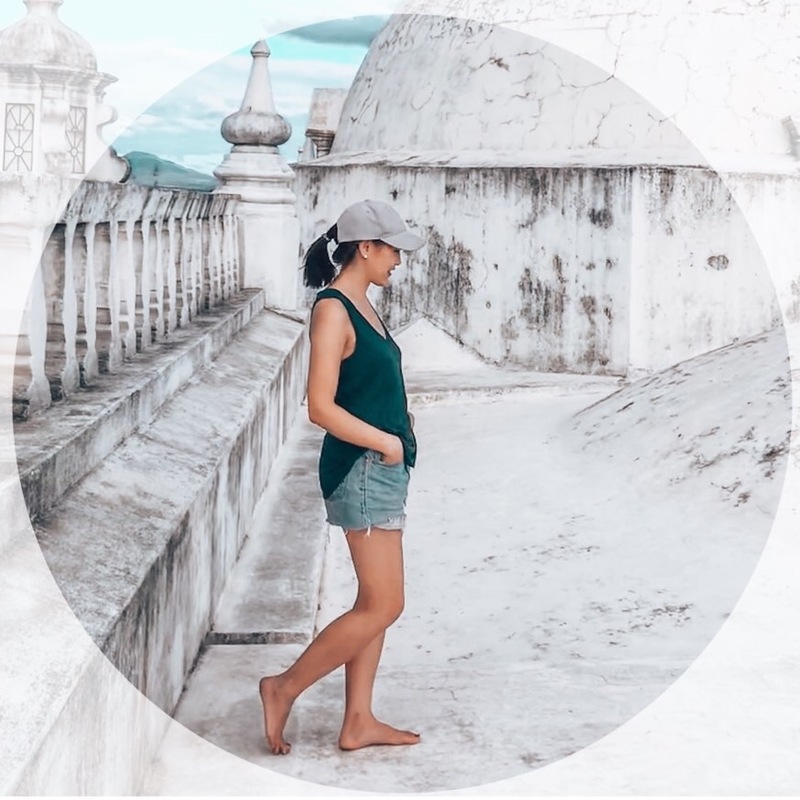 Knowing this country’s fairly recent war-torn history, I was awestruck at the natural beauty of the city. A green-blue river runs through the city, and several bridges in addition to Stari Most connect the city. The Old Town is paved with cobblestone streets. Restaurants and coffeeshops line the river. Further out from the city, we took an afternoon visit to the start of the river spring with water so clean you can drink directly from the river. 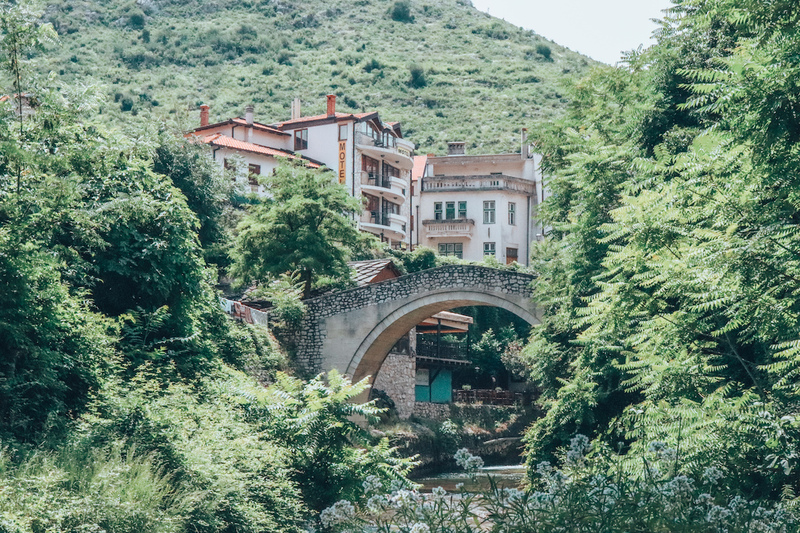 Here are some of my favourite photos of Mostar — don’t the bridges look like something out from a fairytale? 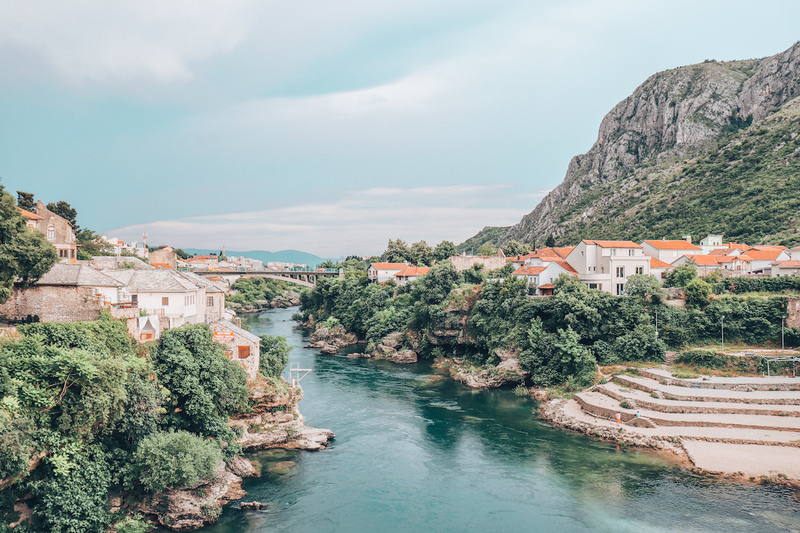 When we arrived in the Old Town and main tourism area of Mostar, what struck me the most was how beautiful and picturesque the old town was, in contrast to the rest of the city. 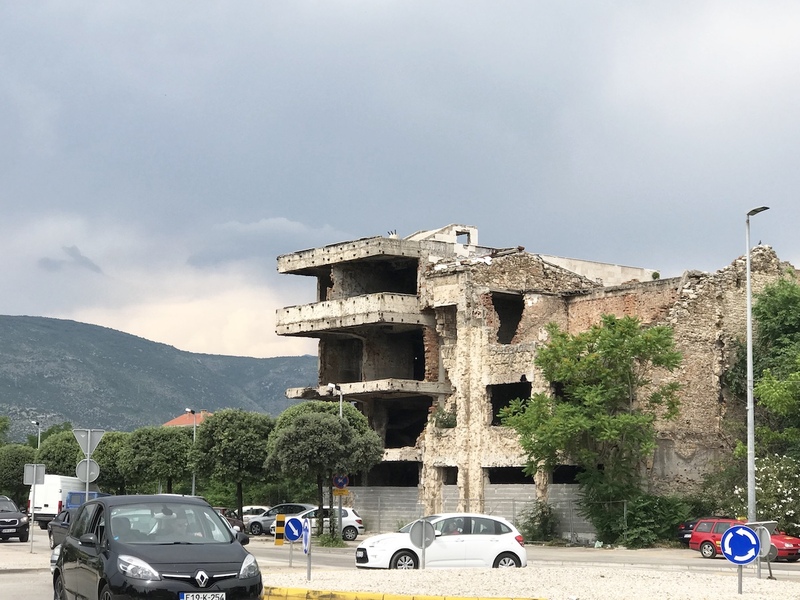 When our bus from Dubrovnik to Mostar first, we passed by ruined buildings riddled with bullet holes, window holes with no glass — just a general feeling of demolition and decay. That to mention that the road to our guesthouse was going under repavement and reconstruction, so there was machinery and gravel everywhere. 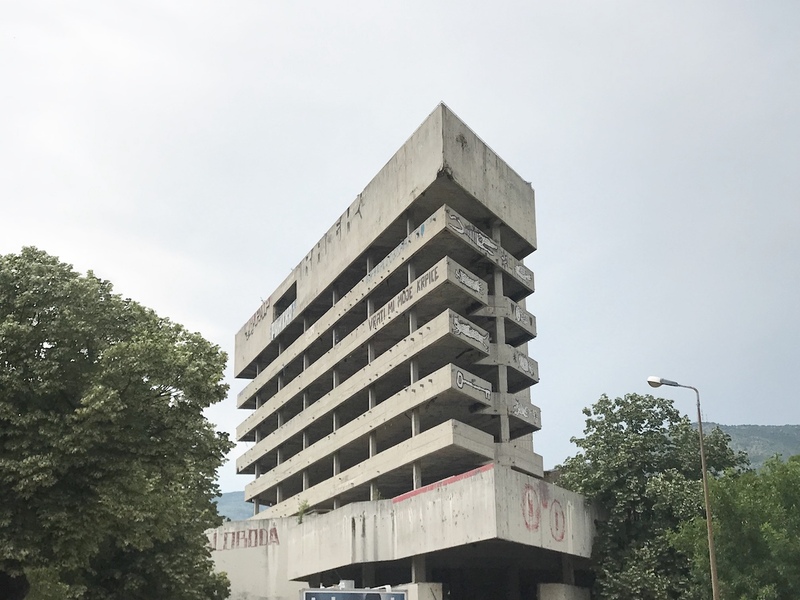 In contrast to the picturesque Old Town of Mostar, here are some grittier photos from outside the Old Town Walls. 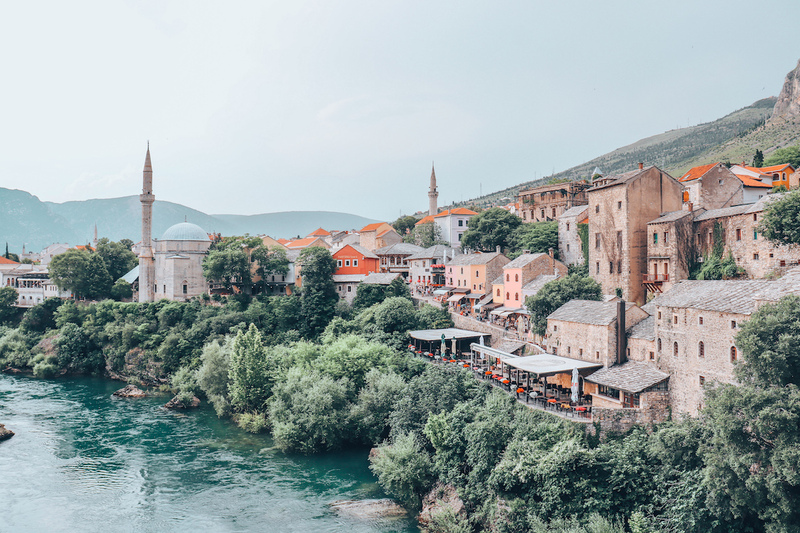 A visit to Mostar would not be complete without comparing and contrasting the two sides of this city. 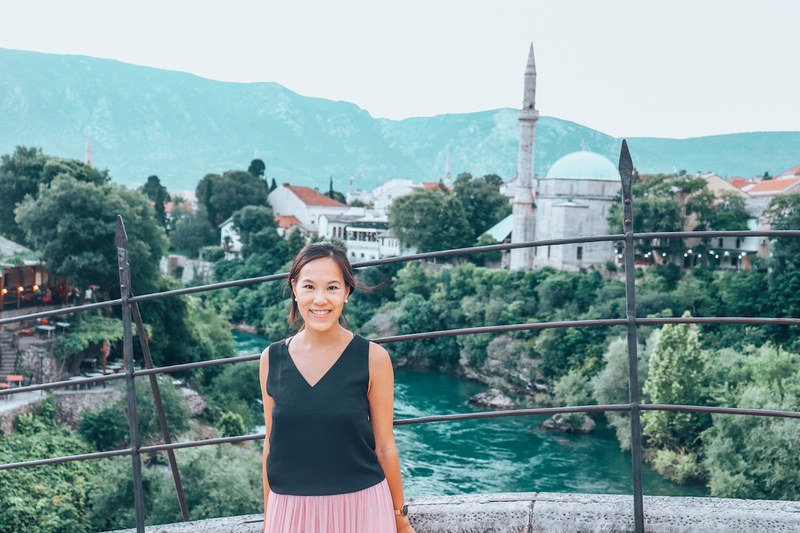 Overall, we really enjoyed our time in Mostar. 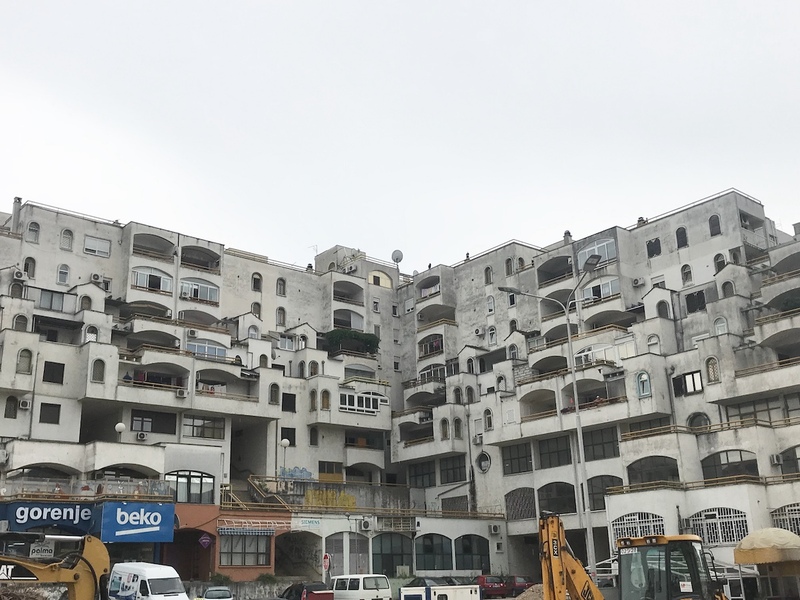 Many tourists will take a one day trip to Mostar, but we felt like two full days gave us enough time to explore the city (both the old town and beyond) at a more leisurely pace.